Loved this book!! 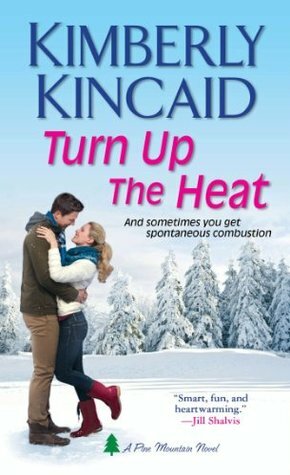 If you are looking for a fun, flirty, and refreshingly romantic love story to put a smile on your face then look no further than Kimberly Kincaid’s TURN UP THE HEAT. KK’s story about the big city girl falling hard for the small town boy (and vice versa) is a delight to read! Her beautiful heroine, Bellamy Blake is smart, sassy, fiery, and fed up with the lousy week she’s had. She calls on her two best friends and sets plans to meet them up at the Pine Mountain resort for some much needed pampering and relaxation. I have to say right here the close friendship, snarky banter and teasing that goes on between Bellamy, Holly and Jenna is hilarious and adds so much to the overall greatness of the book!